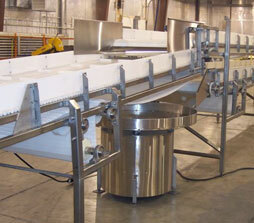 TS Designs Inc. has a standard line of fresh cut food processing equipment. We can also custom build equipment to meet your needs. TS Designs is located in Burley, Idaho. 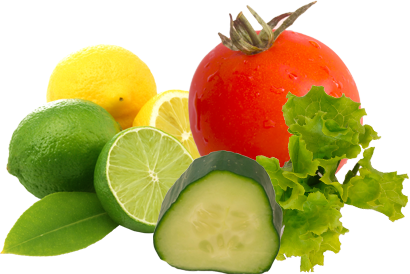 We sell a wide array of machinery for the fresh cut food industry. Customized construction is available for most of the fresh cut food processing equipment sold. We also have a standard line of equipment to meet your needs. There are standard and custom systems for all applications. Let the equipment design and build firm take care of your entire fresh cut food processing needs. We can construct the right machinery and equipment for your operation. TS Designs can do your entire plant. Therefore, providing everything from start to finish. In addition to designing and selling food processing equipment, We also offers other services. Like a wide variety blades. For example blades for slicing, sticking, wedging, coring, dicing, grating, julienne, peeling and crinkle cut. We also have integrated abrasive water jet cutting. Therefore, better quality parts at a higher production rate. Above all, better quality and a cheaper price for the customer. Work with us to install the highest quality food processing equipment. Read the About page for more details on these services. CUTTERS AND BLADES Slicing, Sticking, Wedging, Coring, Dicing, Grating, Julienne, Peeling and Crinkle. Better Quality Parts at a Higher Production Rate = Better Quality and a Cheaper Price for the Customer! WE CAN DO YOUR ENTIRE PLANT! Food Processing Equipment Custom Built To Meet Your Needs! Find everything you are looking for in one place. Affordable pricing is available on a diverse selection of food processing equipment for handling fruits, vegetables, and other products. Whether you are a small, medium, or large facility, the food processing equipment you need is right here at a price you can afford. Explore the Products page for more in-depth information on what is offered. For a glimpse of the variety of food processing equipment available through the firm, review our many products. Don’t see what you are looking for? We're happy to discuss your situation and needs. Please call us at (208) 878-3000 to speak with a representative about the following products and any other inquires you may have. Copyright © 2019 TS Designs Inc. All rights reserved.